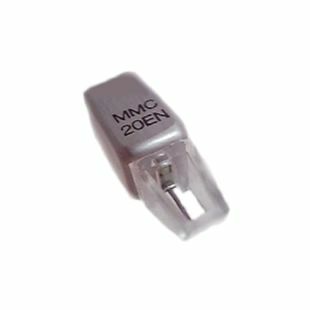 The MMC20EN was the standard cartridge fitted to the top of the line Beogram 4002 and 4004. It was a development of the very successful MMC4000 and retained the naked elliptical diamond stylus seen on that model. A fine tapered cantilever was also fitted and provided excellent performance.